Over 44 Years of Service and Thousands of Custom Installations! Boyar’s Kitchen Cabinets has been serving the San Diego County area since 1974. As an alternative to the rising costs of new cabinets, Boyar’s was among the first to develop the process of cabinet refacing, thus cutting costs and time in the remodeling process. Many clients think they need to invest time and energy in taking on a major remodel, when in fact most projects are completed within a week. Should you wish to keep your existing counters, floors, appliances, etc., they can still remain intact, while your cabinets are completely transformed. Boyar’s has been consistent in striving to be the leader in our industry. We are constantly implementing new techniques and introducing new products to always provide our customers with the widest range of selections. We only use the very best materials and hardware to ensure a finished product like no other. 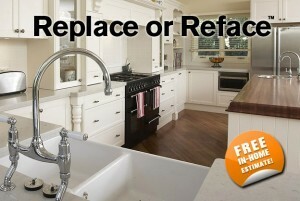 All refacing is not the same. We will never compromise on the quality of our products since we are the only company in San Diego offering a lifetime warranty (ask for details). We offer a plethora of custom finishes, materials, hardware, and options. We offer BlumotionTM drawer glides as a standard on our soft-closing drawer slides. We use BlumTM hinges for our concealed hinges with BlumotionTM technology. Throughout the years, the company became known for its outstanding workmanship and reliability. Over the years, Boyar’s officers have been selected numerous times by the Contractors State License Board to participate in helping develop the new exams to license new contractors. We do not subcontract out any portion of our cabinet installations. All of our teams are highly skilled employees of our company. Our installers are true craftsman with a mindset and work ethic that is hard to come by. We have almost 30 employees, most of which have been with the company for over 10 years. We have been a proud San Diego Accredited BBB member for almost 20 years. Boyar’s has received recognition from Houzz, NKBA, Chamber of Commerce, San Diego Magazine, San Diego Home and Garden Magazine amongst several others. Our business thrives on your satisfaction. We owe a big thanks to our clients, employees, and community for allowing to Boyar’s Kitchen Cabinets to be San Diego’s Premiere Refacing Company. © Copyright - Boyars Kitchen Cabinets | * Inquire for details about our Lifetime Warranty.